I live in Greenpoint, Brooklyn (whaddup!). When my mom was helping me settle into my new apartment over four years ago, she commented that I was moving to little Warsaw. It’s really Polish in these parts. My block is surrounded by Polish groceries, meat markets, bakeries, hair salons, dentists, doctors, accountants, travel agents, driving schools, you name it. Their signs, and ingredient lists, and menus, and pricing are all written in Polish. 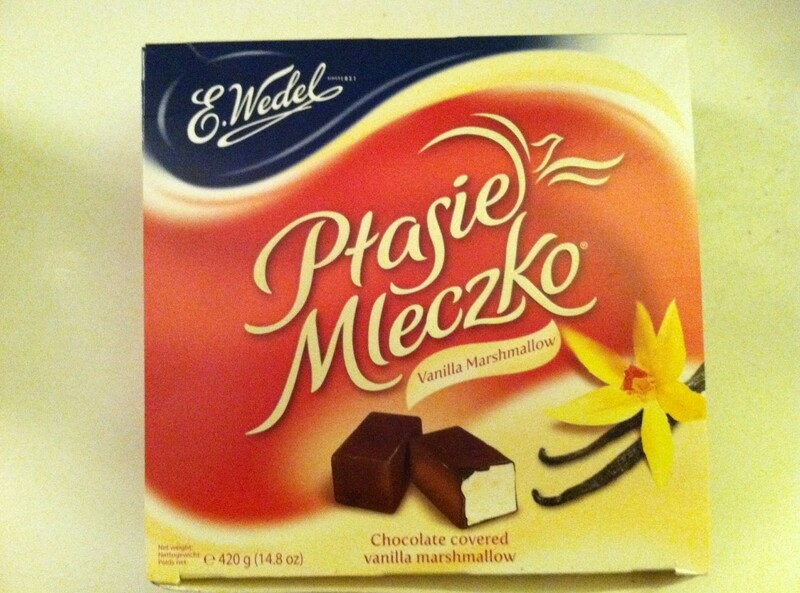 These chocolate-covered marshmallow treats. Not too sweet or gooey, they are fluffy and delicate. 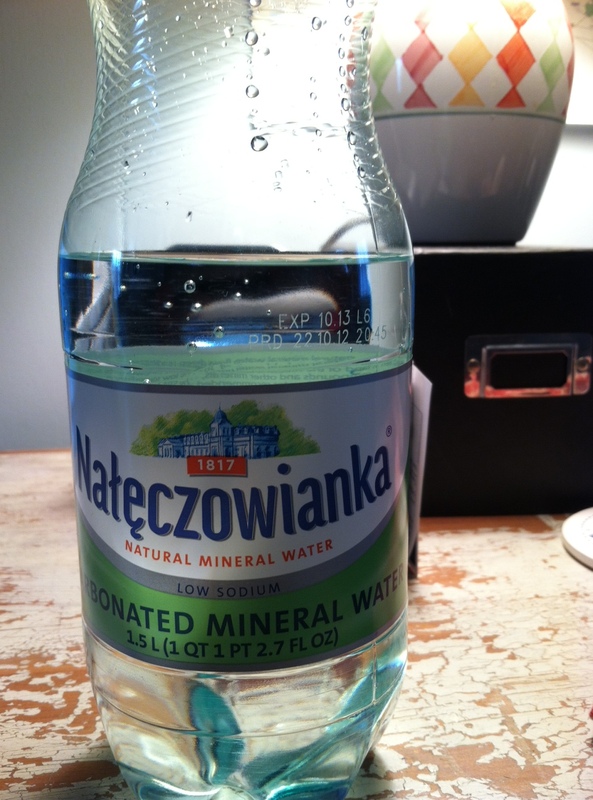 Naleczowianka sparkling mineral water. Heavenly frizzante agau for a seltzer-lover like myself. Kitty-corner from my apartment is this Polish restaurant called Relax. The food is incredible, but it is pretty dingy inside so I always take-out. Their potato pancakes melt in your mouth. This past July we got a Polish wine shop too. Not with Polish wine, just Polish owners. Vine Box is owned and managed by husband and wife team, Robert and Ivanna. They are from Krakow and Warsaw and have brought their renaissance skills to the project. They are darlings and have become friends. Their shop was pretty much entirely built by these two with the help of their amigo, Aldi. They took their time and constructed every portion properly. The space used to be a smelly, greasy, little fish and chips joint. Now it is an enchanting space that feels like a slice out of the center of some quaint European town. Robert’s wine selection has got its oldies and goodies, with travels down more adventurous paths as well. He is into trying new things, and is into his customers doing the same. There are lots and lots of wine shops around Manhattan and Brooklyn that I admire (I sell wine, so I see lots of them). They have varying philosophies, energy, and decor. This one has become particularly dear to my heart. A pair of Vine Box regulars from Stereospectacular put together this little bit introducing Robert and his shop. I really like the way it is done and wanted to share with y’all.